So, the looseness or tightness of the scale will reflect the logical difficulty of the exam (loose scale with a harder exam, tight scale with an easier exam), and has a huge impact on final scores. With that in mind, how did this one turn out? By itself, it is hard to determine what the scale tells you about the general nature of the exam: you can clearly note individual outcomes—you can miss only 1 question to get a 180, 9 questions to get a 170, 26 questions to get a 160, and so on—but what does that say for the test’s overall difficulty? To answer that we need to consider it relative to other exams. When we compare this scale to the scoring scales from prior LSATs, what we find is that this scale is fairly normal, if not even a bit on the looser end (fewer questions needed to reach a target score) in the 140-155 scoring range, but becomes exceptionally tight for scores in the higher ranges of 160+. What that means is that this LSAT was easier than average, and particularly favored high-level scorers (while scorers in the mid-to-low range struggled about the same as they normally do). Let me elaborate on a few of the more notable aspects, largely by comparing this test to the last released LSAT (December 2016) and to another test (December 2015) notable for an inverse trend: a tighter middle and more forgiving high-end. Scores of 145, 150, and 155 required minimum raw numbers of 46, 55, and 65, respectively. This is nearly identical to the last released test, the December 2016 LSAT, where those scores required minimums of 46, 55, and 64 questions correct. But when we compare both to the December 2015 LSAT, where those same three scores required at least 48, 57, and 65 questions correct, respectively, you can see right away that the June 2017 and December 2016 exams had a less strict scale. Fewer questions needed to attain a scaled score means that test takers at that level performed slightly worse (i.e. were challenged slightly more) than test takers at that same level on a different exam. So, again, in the mid-range the June 2017 LSAT was normal-to-marginally-generous. Scores of 160, 165, and 170 required a minimum of 75, 85, and 92 questions correct, respectively. Let’s again compare those raw results to both the December 2016 and the December 2015 tests. On December 2016, 74, 83, and 90 correct answers were needed for 160, 165, and 170 scores, and on December 2015 74, 82, and 89 correct answers were needed to attain those same final results. You should see right away that at 160 this June test is already getting tighter than either December exam (75 right answers for June, 74 for the two Decembers), and then the tables really turn: June 2017 required 85 correct answers for a 165. December 2016? 83, two fewer. December 2015? Only 82, so three additional mistakes for the same final score! And 170 repeats this discrepancy: test takers this June needed 92 correct answers, while in December 2016 90 correct was a 170, and December 2015 test takers hit that number with just 89 right. That means that June 2017 test takers far outperformed similarly-scoring students on those two past tests, and indeed on nearly every test released in the past decade! Not since September 2008 has a test allowed only 9 mistakes to stay in the 170s. Was this test easier, or were these people significantly better prepared? Hard to say, and probably a bit from both columns, but the numbers clearly show that the test makers tightened things up severely in the upper-160s and above. Look at those 180 numbers. 100 correct? Yikes. Only two tests in the last six years have been similarly tight: December 2016 and June 2016 (their two scales are incredibly similar, in fact). And the June 2017 scale is harsher than both of those tests for virtually every other score at 155 and above. Lastly, note that two scores are impossible in the 170s, a 175 and 179. People performed so well at 170+ that there simply weren’t enough questions available to allow the usual 10 possible results from 171-180, forcing the test makers to only allow 8 scores above 170 (while still giving a single-point buffer to 180). A single score removed in that range is fairly normal. Two is far less so, and again speaks to the vice-like grip at the highest reaches. So all in all the June 2017 LSAT’s scale was forgiving for mid-range testers, but punishingly less so for students in the top 10-20%. Why? The test makers are attempting to close gaps between average performers and strong performers and maintain a smooth bell curve. But as a select subset of takers becomes better and better prepared for the LSAT—typically by wisely investing in courses and tutoring—this separation between average and elite continues to grow more pronounced. Make sure you do all you can to reach those upper levels so as not to get left behind. There are a number of pieces of good news though! For one, taking it in June means you’ve got solid experience and an early jump on most people (who are only just now starting to prep). That should pay off in the event of a retake later this year. Two, schools really don’t care about multiple scores anymore. It’s a highest-score-only situation across the board (Yale is the slight footnote, but then their admissions practices are so singular as to always be the odd man out). So don’t worry about this number. Just improve and you’re all set. Schools won’t give this a second thought if you can turn in something higher. Three, I don’t suspect this is a trend of tighter curves. This test was the tightest at the high levels of any in about nine years, so it seems to me more of a one-off than indicative of LSAC’s future scaling. Lastly, for September, I think a lot depends on how you want to get back in the game. Take a class, do some tutoring, additional self-study…each of those comes with different costs and benefits, so rather than say “here’s what you need to do” I’ll just leave you with the strong suggestion that you have room to grow and a need to do it, so leave as little to chance as possible. If that means investing more time and effort (and, hate to say it, but money) into the process then the clock is ticking to go all-in. You don’t want to be stuck asking these same questions about the December test, so don’t risk any let downs in September! I’m going to add two comments to this blog that will serve as additional info of sorts for readers. The first echoes a question I’ve been asked here in these comments already, although the response I’m about to offer comes from a forum user’s question yesterday. I was asked if this tightening of the scale at the upper score levels represents an emerging test trend, and if I expect it to continue on future exams. No telling! I have a *preference*, but would stop short of a prediction. My preference is a softer curve due to “unusual” content, like an outlier type game (more Pattern, as we’ve seen, or Circular) or some less-frequently-tested LR types (Formal Logic, or Evaluate the Argument). Basically a test that primarily punishes the under-prepared, and rewards those who are thorough in their prep (who know how to tackle those rarer elements) with a more generous scale. If we do see a continued trend of tighter scales–and there is no trend here, I should point out; this test is singular in that regard compared to the last several years, and reminds me more of a mid-2000s scale than anything we’ve seen lately–then one could make a compelling argument that it’s more of LSAC’s ongoing attempt at user-friendliness in the face of declining enrollment and increased competition (the GRE). That is, so far just this year we’ve seen them drop the silly repeat limitation, and in 2019 they’re adding two additional test dates…more straightforward/accessible exams (and corresponding tighter curves against the most accomplished testers) would fit well with that. But I wouldn’t go so far as to say I expect it. What’s the reason a test might have a tighter curve, and how, once we’ve heard a bit about what was tested, can we anticipate what the curve might be? Essentially the test makers are determined to keep a standardized bell curve of results, where you group the vast majority of people in the mid-range, and keep the upper levels extremely exclusive. To do that then there must be at least one controlling factor that limits how many people are able to score above 160, 165, 170, and up. What factors can achieve that? High difficulty, and high standards. Think about how it works with high difficulty. What happens when there’s a particularly tricky logic game or reading comp passage set? Who does that most hurt? It’s not the 151 scorer who rarely finishes all 4 games anyway, or who finds RC on the whole a challenge. It’s the 173 scorer who normally goes -0 or -1 in LG, but because of that supremely difficult situation just went -5 (or is similarly, almost disproportionately, punished in Reading). In short, the people most affected by a jump from moderately difficult to supremely difficult are high scorers. Why? Because they routinely answer moderately difficult content correctly, but potentially struggle as the bar is raised. We saw examples of this with September 2016’s notorious computer virus game, and with December 2016’s RC (and to some extent its fourth game). Those scales were looser than what we had in June, because the inherent/legitimate difficulty served as a satisfactory separator at the upper levels. But what happens on a test, like June 17, where there is no stand-out in terms of difficulty? Without a tested element to stagger and stratify in the 160s and up, the test makers must introduce a different device to keep the high-performing numbers sufficiently low. And that’s where the tight scale comes in. That’s the “high standards” idea I mentioned above: require more than normal for the same reward. So it’s either force more errors, or tolerate fewer. This June was a clear example of the latter. And that speaks to how we can make fairly informed predictions about test scales. By judging reports of the tested content and anticipating to what degree it’s likely to crater the high achievers, we can get a solid read on what LSAC will need to do to further thin that herd. 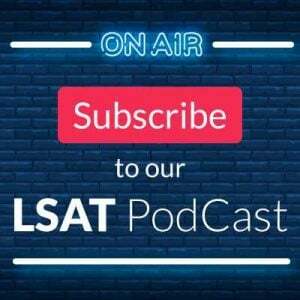 To follow up with an earlier poster, what do many law schools mean by taking a holistic approach to multiple LSAT scores? Within the T14 list, Aside from Berkley that explicitly states they use the highest one (unless they are too close together) and Chicago that says they put the greatest weight on the highest score, many law schools seem to say they look at it holistically. I understand Harvard last year also said they look at the highest score but they removed it now from its website. What would holistic mean for students with a low and high LSAT score or , even worse, a lower second LSAT score? Good question, Devin! That simply means that they consider the entirety of your application when evaluating you as a candidate. Since they can see all of your scores, they don’t immediately *ignore* all but the highest, but it’s the highest that they use when reporting so the highest is the ultimate deciding factor. Put another way, they’ll take into consideration certain trends (increasing or decreasing score trajectories) or behavioral patterns (four cancellations, an absence, and a score) that exist in your score history when considering candidates. As they should! They need a qualifying number so that’s top priority, but they also want to know who they’re getting, and sometimes multiple scores/attempts tell a story. Consider: an applicant applies with chronological LSAT history 143, 146, 167, 152. That’s an extreme (and unlikely) case to be sure, but what would you think about the person? Is she really a 167, given two scores in the 140s and a more recent score in the low 150s? Is that 167 legit or a fluke? Now, if the rest of her app is super strong (3.9 GPA, great personal statement, amazing letters of rec…) and a 167 is sufficient for admission, she’s in! But the school may have some questions along the way. This is a case where an addendum might make sense: “took it twice thinking I was ready but clearly wasn’t, really buckled down and worked for a full three months to improve and got a 167 (and was PTing 170s), wanted to break 170 with a final attempt but regrettably fell extremely ill the week of the test and while I thought I was recovered enough to soldier through I could barely stay conscious during the exam…should have canceled but I wanted to see the result” sort of thing. So that’s all that a holistic view entails. Where I’ve been hearing this concern most often is with people worried that a second score on their record might carry a penalty, even if it’s a small increase. The answer is that it DOES NOT. Even a slight drop from first attempt to second means nothing–high score still plays. It’s more extreme cases as I’ve described above where some understandable head scratching occurs that the holistic perspective comes more prominently into the equation. “Thanks for the question. And congrats on the 148 to 174 increase–that’s spectacular! I am only recently coming out of shock from LSAT results. Scored a whopping 142 and not sure where to go from here. Powerscore books were used for preparation and I cannot account for the difference in actual performance compared to practice tests. My goal is/was to go to U of Cincinnati Law. My father is an alum and in practice such that there are a number of post-law school potential opportunities for me unlike most. I am an NCAA D-I athlete entering my 4th year and currently carry a 3.55 GPA (MKTG). In addition to the 20-30 hrs devoted to sport each week, I have been rehabbing a major stress fracture (L5 vertebrae). If I’m not able to substantially raise my score in Sept . . .am I nuked from getting into UC Law? Sorry to hear about your score and your stress fracture! I hope you can get better soon. Tell me what you meant when you said, “I cannot account for the difference in actual performance compared to practice tests.” Were your practice tests significantly better? I’d like to know more about those exams and the conditions you took them under, and then also if anything unusual happened to you on test day. Thanks for responding. I’ve decided to defer re-take until Feb 2018 to allow more prep. 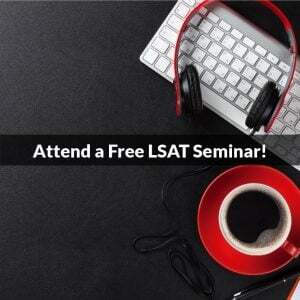 I will still apply to UC and try to convince I am worthy despite LSAT train wreck. If rejected I will look forward to your advice when I begin preparation later in Fall. Ok, that sounds good! Remember, a bad score can happen to even great test takers, but the good news is that law schools only care about your high score (http://blog.powerscore.com/lsat/considering-an-lsat-retake-heres-what-th…). So, one good score can erase any problem tests on your record. 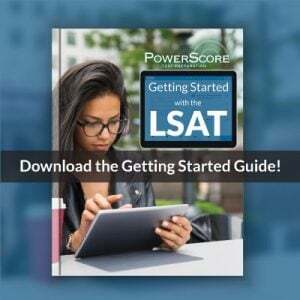 We’re here to help you whenever you need it (and here’s an article that might help: http://blog.powerscore.com/lsat/how-to-increase-your-lsat-score-when-you…), so just let us know. Good luck and we’ll talk to you soon!